No business is too big or small. Whatever the needs are, we’ll find the right service for local businesses. We offer all our services to our commercial accounts – carts, dumpsters, or rolloffs. Residents within city limits have curbside pickup available. Both Garbage and recycling carts available depending on location. Doing a home project? Everyday household waste is included in the curbside garbage service, but extra garbage resulting from projects is extra. Please contact us for a temporary dumpster to fit your project size. Need sanitation services at a rural address? We offer scheduled or will-call dumpster services to rural residents. Recycling drop boxes are located throughout the area for our rural residents to participate in our recycling programs. For safe disposal of all sensitive and confidential documents. 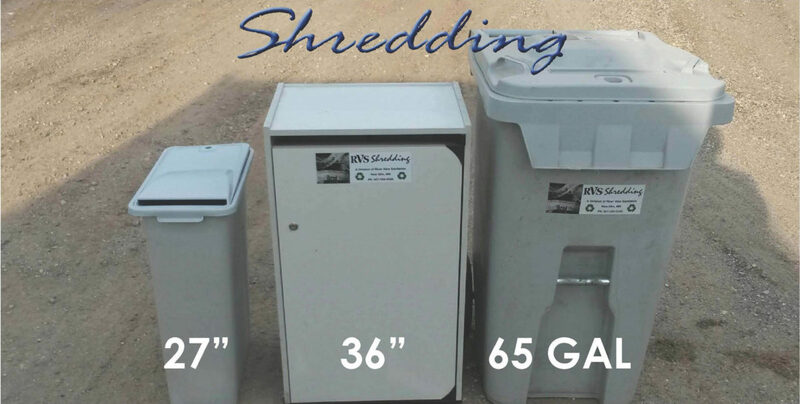 Our RVS Shredding truck comes to you, you can watch it go in and get shredded on a small screen. Document Shredding services are available either regularly scheduled pickups or on-call basis. Doing an office cleanout? Call us to arrange a time for our shred technician and truck to be there for you.